The Takiya Koreder Line hanging system for paintings is a high quality, safe and flexible mounting system that is characterised by its many possibilities for recessed and surface mounted rails in walls and ceilings. The rails can be delivered in any colour of choice. Application The Japanese Takiya brand Koreder Line mounting system is a high quality system to display paintings in a safe, flexible and aesthetically pleasing manner. The system is characterised by the many possibilities for recessed and surface mounted rails in walls and ceilings. Application The surface mounted and recessed rails for walls and ceilings are available in many shapes and sizes and can be delivered in any colour of choice. 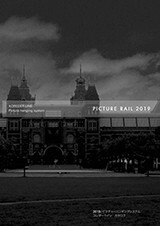 The type of rail depends on the surface on which it is mounted and of the weight of the paintings. We are happy to advise you! Application We distinguish between 2 types of hook: the “open hook” where the cable is hung onto the hook using an eyelet and the “one touch hook” where the steel cable is pressed into the bottom of the hook and fixed with an ingenious patented system that doesn’t dent or damage the cable. Application The steel cables are available in various lengths and diameters. The weight of the artwork determines the required diameter. The cables are available in various colours so they are virtually indistinguishable from their backdrop. Application Choosing the right set of hangers depends on the desired design and the artwork to be hung. Paintings up to 100 kg can be safely hung using our system. Application Where our extensive catalogue offers no solution, client specific products can be developed. 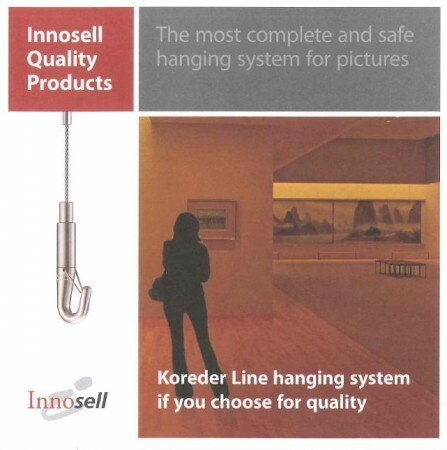 You can find the Koreder Line hanging system in renowned museums, banks, offices and government buildings in the Netherlands and abroad.